Free Spirit Publishing, 9781575423005, 24pp. Naps are just a little break—but when it’s naptime, many toddlers have trouble settling into sleep. This calming, encouraging book helps young children quiet down so they can get the rest they need. Eyes are closed, lights are dimmed…and (yawn, s-t-r-e-t-c-h) before little ones know it, it’s time to wake up. Cozy illustrations enhance the text. 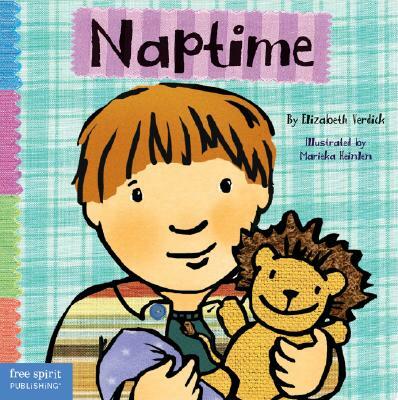 Part of the Toddler Tools series, Naptime can be shared before (or during) the desired “time,” or whenever toddlers need encouragement with routines. Includes tips for parents and caregivers.